Product categories of Jewelry Set, we are specialized manufacturers from China, Jewelry Set, Ladies Jewelry Sets suppliers/factory, wholesale high-quality products of Crystal Jewelry Sets R & D and manufacturing, we have the perfect after-sales service and technical support. Look forward to your cooperation! Many of JMY most emblematic jewelry products come in shimmering perfectly matched precision cut sets, which reflect the wonder and beauty of light.The main material is 316L stainless steel, also including Zinc, Alloy, 925 Sterling Silver. The main technology is plated PVD. 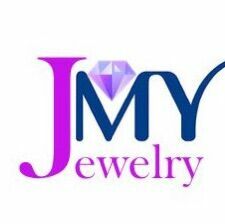 The most used color are black , gold, rose gold, matte color and antique color.JMY jewelry sets are designed to offer the best of the brand`s innovative designs in matching colors that can be worn as the ideal accessory on any special occasion.